We’re Maryal and Chris Carter, the couple behind the blog Love and Specs where we feature affordable, stylish men’s and women’s fashion, Home Decor, DIY projects and Travel. 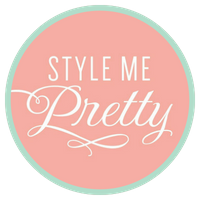 Contact the Love and Specs blog team for more information about affordable, stylish men’s and women’s fashion, home decor, DIY projects and travel. We're Maryal and Chris Carter, the crazy-in-love couple behind the blog and the specs. Our love of chambray and mutual blurred vision unites us, and this is where we share our adventures in love, style, food, DIY and so much more, seen through our bespectacled eyes. Thanks for joining our journey! Apr 16 Spring Cleaning & Home Improvement Revelations We're Loving! This post is sponsored by BabbleBoxx.com. 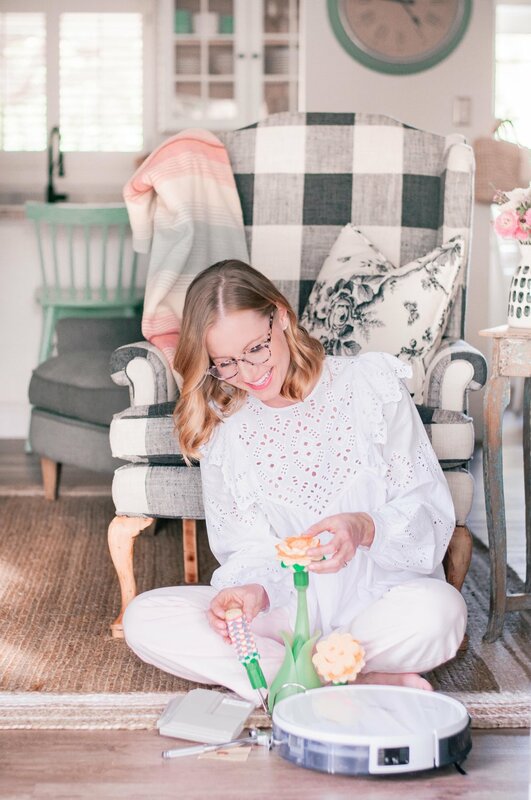 Spring is here and as you guys know, when the weather warms up, the doors fly open and the desert comes to life in the spring, we’re all about giving our entire home an inside-out refresh that helps us enjoy every inch of the place we love so much. We’ve given you a little space by space spring house tour over the last month or so and talked all about the room makeovers, laundry tips and entertaining tricks that have made our home come alive this season, so today we thought we’d round out the spring home-stravaganza by talking about one of the most important elements of any spring shape up… cleaning! And we’re not just talking a little mop here, a little scrub there. 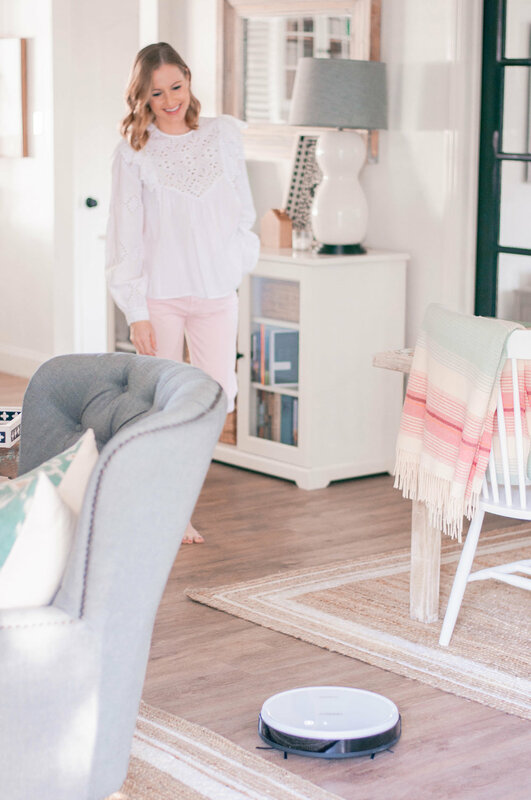 I’m talking all about three epic new discoveries I’ve made that have been total game-changers in making it easier to either keep our home clean this spring, or maintain its fresh look and feel in general, sans signs of wear and tear. We’ve learned that both conversations are equally important when it comes to keeping our home looking and feeling fresh - the durability of the finishes around our home and the care we take when updating/remodeling spaces hold equal value to the tools with which we clean it in the ease of maintaining our home. It all matters and it all works in combination to make your spring cleaning (or any season cleaning, really) easier! So with that, onto the three game-changing discoveries that we’ve made, with the help of our friends at Babbleboxx, that have made shaping this place up for spring so much easier and more enjoyable. Lightbulb moments comin’ at ya! The first is something that really speaks to that “inside out” approach to maintaining our home that, as avid DIYers, we try to embrace every time we take on a project or makeover a space. If durability isn’t made as important a consideration as design during a project, we’re always sorry down the road. Our home will be harder to maintain, visible signs or wear and tear show up just months after we’ve updated a space or completed a project, and the tears will flow. True story - actual scenario that’s happened in our house. Which is why we were so pumped when we heard about N-Hance Wood Refinishing products. So what exactly is N-Hance? They’re wood refinishing products made with an acrylic-polyurethane blend that’s cured with ultra-violet light to provide ultimate durability with a beautiful, smooth, rock-hard finish for your kitchen cabinets that’s higher quality and more durable than regular old paint. The team at N-Hance even sent a little “test kit” that we got beat up to put their refinishing products to the test and see just how durable they really are. You see that hammer in the pics? Yep, we banged the cabinet sample they sent up with that thing, and even scratched it with sandpaper and a penny, all in the name of putting their claims to the test. And we were so impressed with the outcome! We used the same tools to beat up a cabinet sample finished with regular old paint, and the difference in the wear that showed was drastic. You can see exactly what I’m talking about in the pics. We gave both samples an equally harsh beating, and the side-by-side results are very different! What’s more, N-Hance products are low VOC, providing little to no noxious odors and reducing the compounds that enter the atmosphere, providing a healthier kitchen remodel option for us as consumers and our planet, which has been really top of mind for us in our home as of late. But none of that matters if this stuff isn’t an accessible and affordable option for cabinet refinishing, right? Right. We hate it when we find a stellar product for our home projects that either isn’t affordable or doesn’t allow for enough customization to fit our home or style. But not to worry! 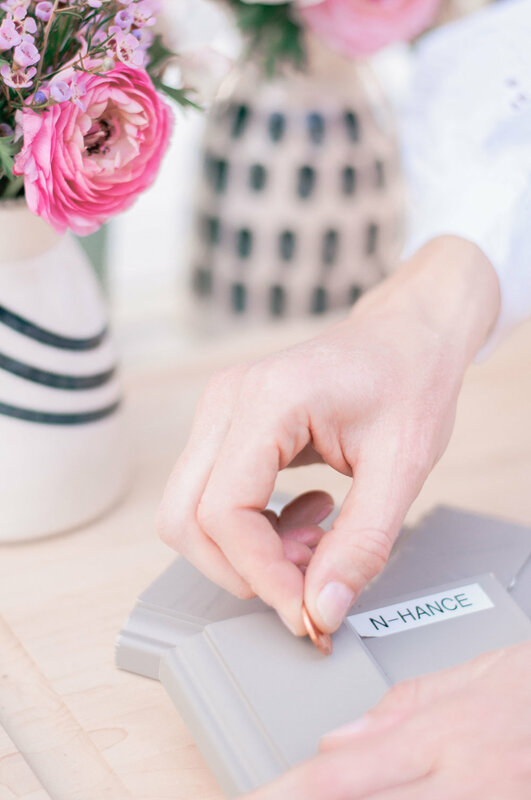 N-Hance’s color options are endless, so you can pick any color and they’ll match it, plus refinishing your cabinets with N-Hance is a much lower cost than traditional remodels. 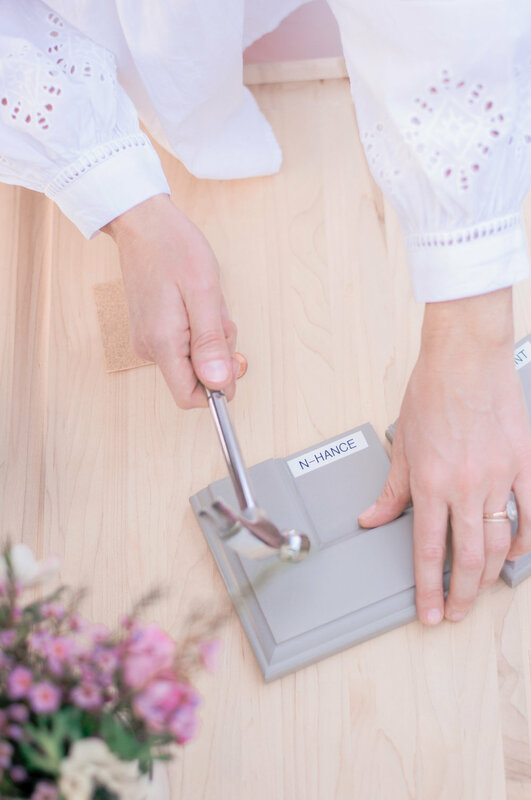 And as mentioned, N-Hance uses ultraviolet light curing technology that gives your cabinets an immediate, rock-hard finish so there’s very little “downtime” or disruption, which we all know is so important when you’re tackling a home project. Of course, once we have the durability piece of the puzzle figured out, there will still always be cleaning to be done. No way around that. And let me tell you, my standards for “clean” are absolutely, without question over the top and slightly exhaustive, and I’ve accepted that it’s just part of my DNA and that’s just never going to change. In light of that I’ve made it my mission in life to seek out the tricks and tools that make it easier and more efficient for me to keep our house spotless, without spending all day, every day cleaning. Girl’s got a life! My latest cleaning obsession/revelation? The ECOVACS DEEBOT 600, aka the best robot vacuum ever. Period. I’m going to be honest and say that as a certified clean freak, I’ve always been skeptical of the cleaning power of a “robot vacuum.” I always thought, “How effective can a little disc that floats over the floors really be?” And it was with that heathy dose of skepticism that I fired up the DEEBOT 600 for the first time. I watched. I waited. I analyzed. And as soon as it had done a complete turn around the house, sneaking into every corner, under every couch/bed/chair, not stopping until it had covered every inch of floor, all while I so serenely worked on my laptop, I was absolutely blown away. As in jaw-dropped, completely shook by the fact that I wasn’t introduced to the life-changing magic of the DEEBOT before now. 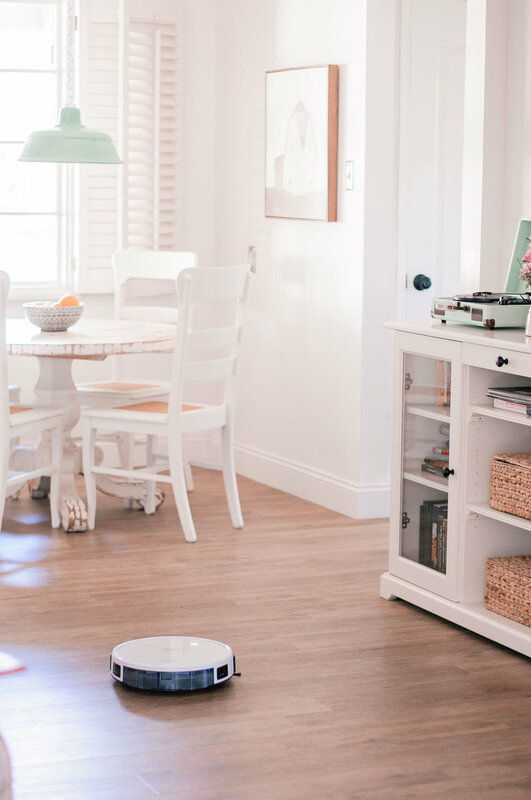 Every single accessible inch of our floors, from the laminate to the rugs to the carpet in our guest bedrooms, and especially spots that aren’t accessible by my arms with a regular vacuum extension, were completey spotless. And I didn’t have to lift a finger! I was busy tackling other tasks and much to my surprise and delight, our floors had never been cleaner. And now I’m addicted. I’ve been running the DEEBOT 600 about four times a week recently and our floors feel like pure, clean, heaven. So why is it the best, you ask? Well the DEEBOT 600 isn’t just any old robot vacuum. No no no. 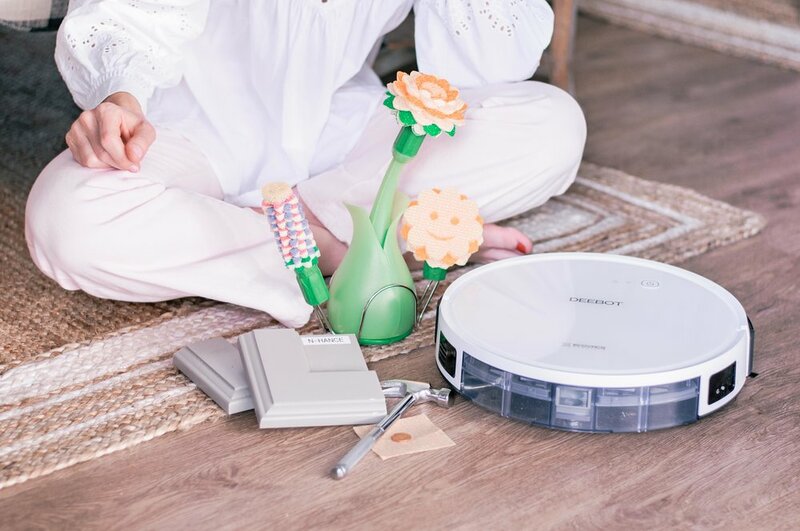 Equipped with various cleaning modes, obstacle detection technology, and smart motion to clean hardwood floors and carpets, the DEEBOT 600 is also compatible with Amazon’s Alexa and the Google Home Assistant so cleaning is as simple as a voice command. “DEEBOT, start cleaning!” How awesome is that? And there’s more. 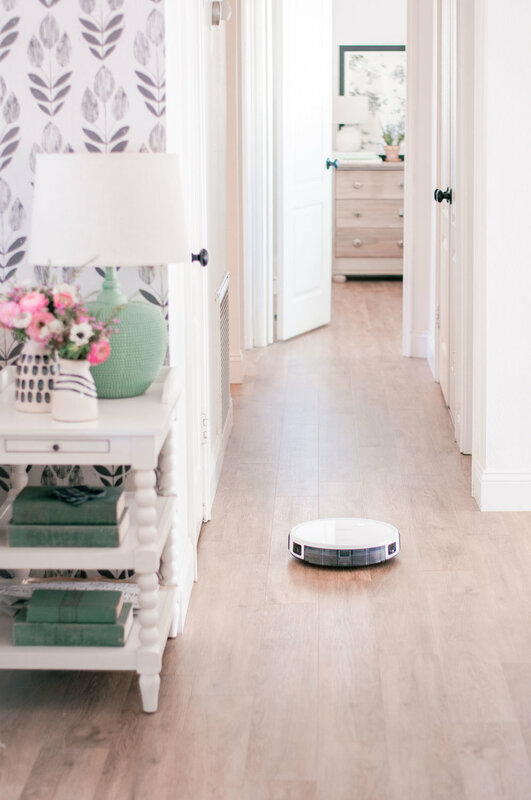 You can clean any time, from anywhere with just the click of a button through the ECOVACS app, which means that you can set the DEEBOT 600 to clean while you’re at work, so your house is clean and ready to rock when you get home. You can also schedule regular cleanings to occur at custom times, like nightly while you sleep so you wake up to fresh floors in the morning (it’s also very, very quiet so you won’t be disturbed)! I’m not even close to kidding when I say that C and I are both in love with the DEEBOT 600. We’ve joked that it’s our new best friend. We’ve had zero programming or tech problems, it’s super easy to empty the waste basin when it’s full (also slightly disturbing just how much dirt, dust and other undesirable things it collects every time we run it), and it comes with a remote control that you can use to conveniently press the “home” button if you want the DEEBOT 600 to finish its cycle early and find its way back to its charging station for a nap. Life = changed, guys. The last little spring cleaning discovery that almost brought a tear to my cleanliness and efficiency-loving eyes? You may have seen my rave abut this on our Instagram Stories - the little dishwashing wonder that’s become my secret weapon in the kitchen, the The Scrub Daisy® dishwand system from Scrub Daddy! How cute is this thing? But its awesomeness isn’t only skin deep, friends. Its magic goes far beyond the cute factor. This sophisticated dishwand system has interchangeable cleaning heads uniquely shaped to clean items like baby bottles and baking pans. Each head incorporates not one but three exclusive materials to maximize the clean: FlexTexture® to scrub, ResoFoam® for suds and their latest innovation, ArmorTec®, to scour without scratching. What’s more, Daisy’s artfully designed handle is both ergonomic and soap dispensing, so you don’t have to fuss while you wash, and that cool little vase/valet you see provides convenient, self-draining storage for all of the accessories so everything is perfectly in place and drying sans odors and yuckiness when you walk away. I’m insanely excited about this entire system and it’s already made our dishwashing lives so much easier without being a gross, gunk-collecting eye sore. But one thing I particularly appreciate is the bottle cleaning head. We don’t need “baby bottle” cleaners just yet, but nevertheless I’ve been searching for something similar that I can use to effectively clean my pretty painted vases that aren’t dishwasher safe. Sadly, I’ve had so much trouble finding something that effectively cleans and fits inside those vases, and that can be stored out in the open without completely disrupting our kitchen design vibe… until now. This gives my painted vases such a deep clean inside, without scratching or damaging them, and it makes my heart so happy! Even more awesome? You can score $1 off any Scrub Daddy product just for being here. So click that link of you’re as in love with this pretty little dishwand system as I am! 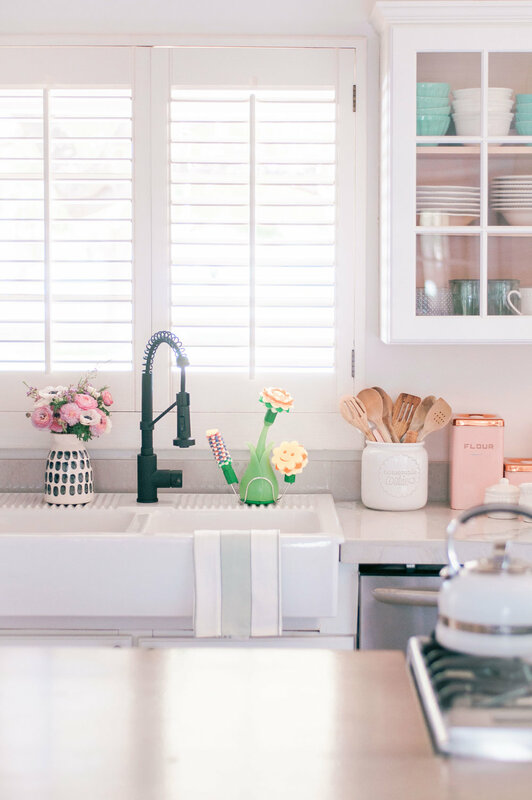 So there you have it guys - three epic new discoveries that have been total game-changers in making it easier to keep our home clean this spring and maintain its fresh look and feel in general, without the sad signs of wear and tear. We honestly don’t know how we lived without any of these things now that we’ve had the chance to put them to the test in our day to day lives! Seriuously though… the DEEBOT is now basically my best friend, The Scrub Daisy® has made all my dishwashing dreams come true and now regular old kitchen cabinet paint seems downright silly thanks to N-Hance. Silly! As always, if you guys have any questions about any of these things I’m loving this spring, drop me a comment in the comments section, and make sure you drop a few of your own spring cleaning tips and tricks in there while you’re at it. Happy spring cleaning! Thanks! Love + Specs updates are coming your way soon! Life through our bespectacled eyes.